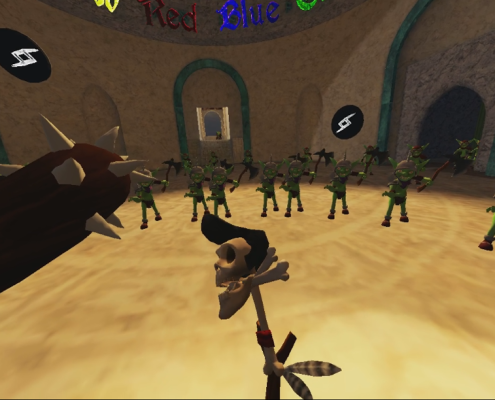 Two-Headed Ogre is a two player co-operative game where each player plays as one head, one arm and one leg of a two-headed ogre. 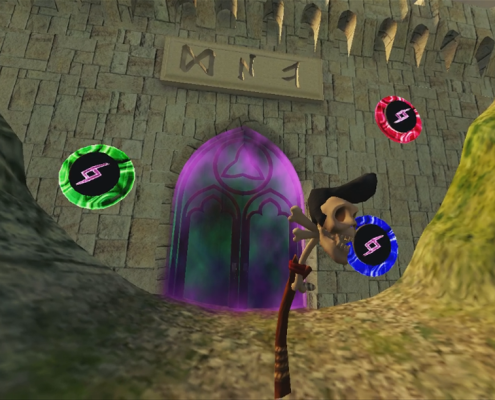 They have different abilities, see different things and thus have to work together to overcome the challenges they encounter on their journey to find the magical wishing well. 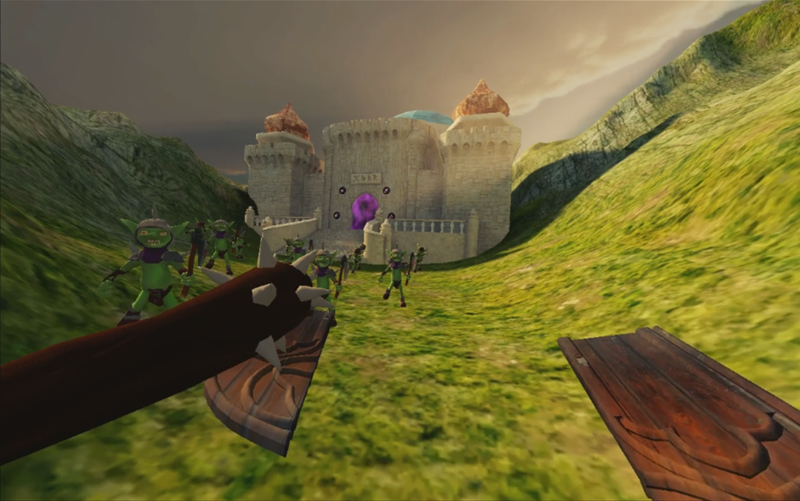 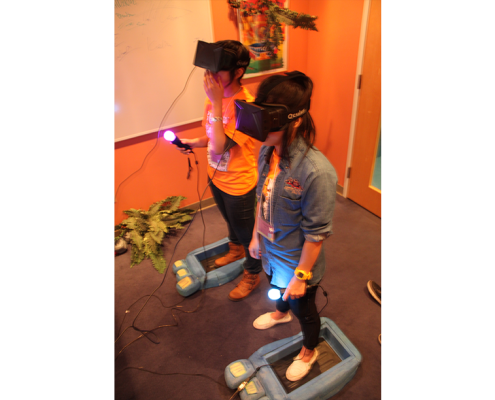 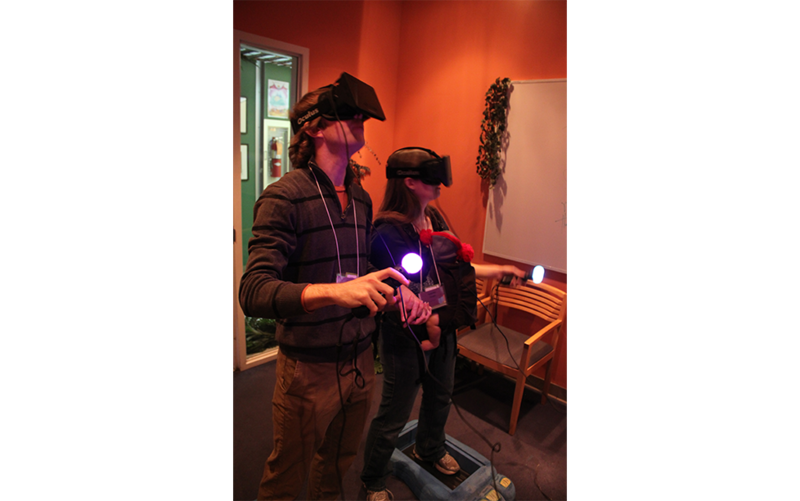 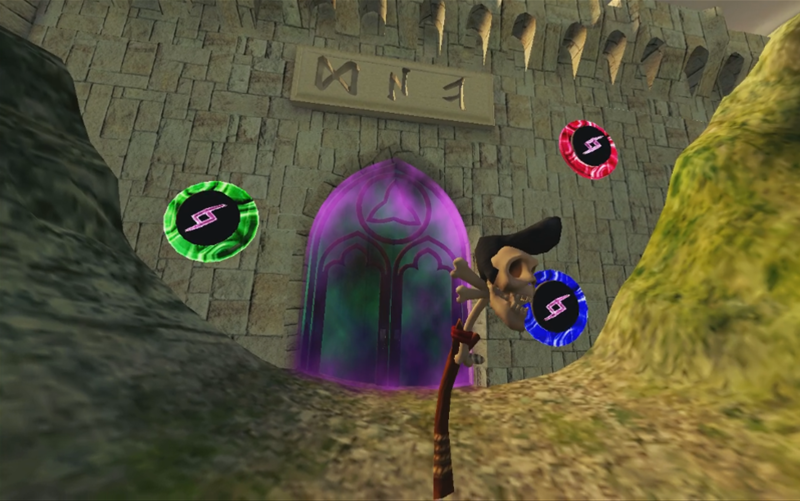 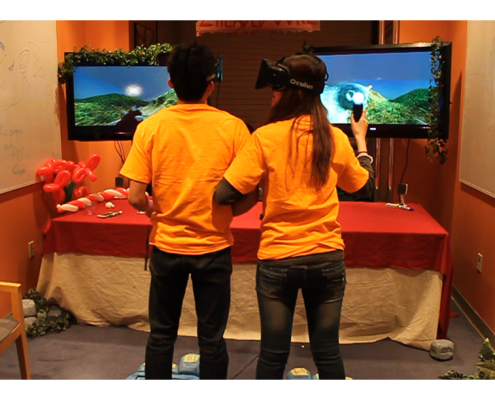 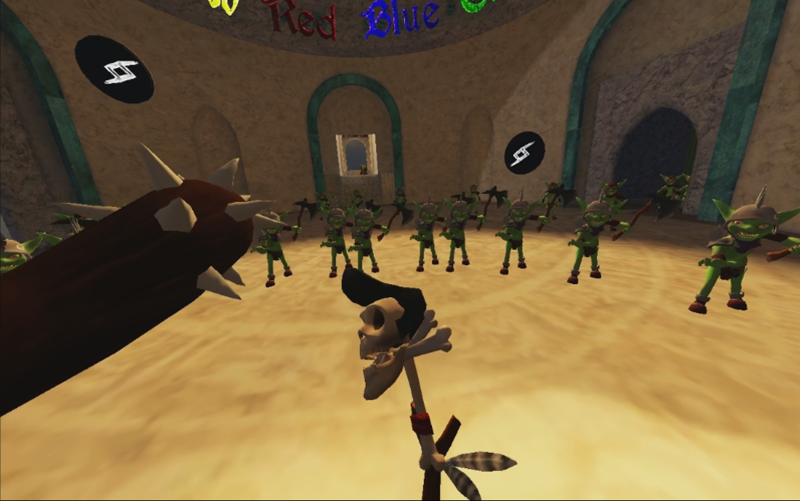 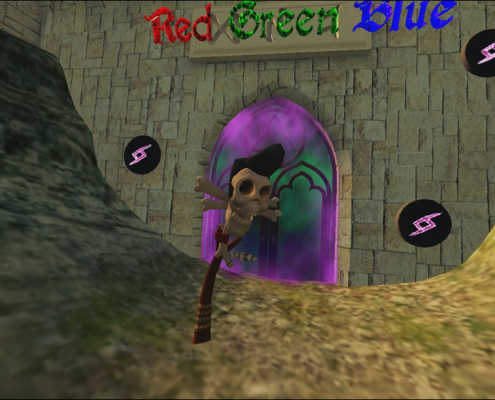 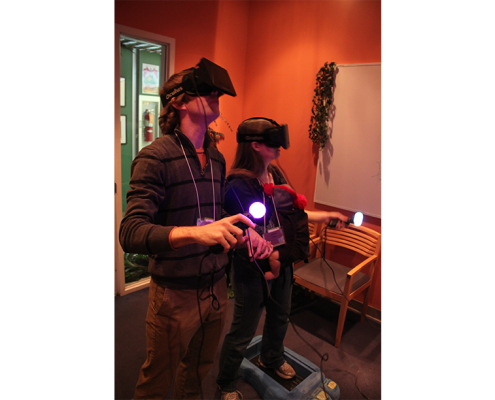 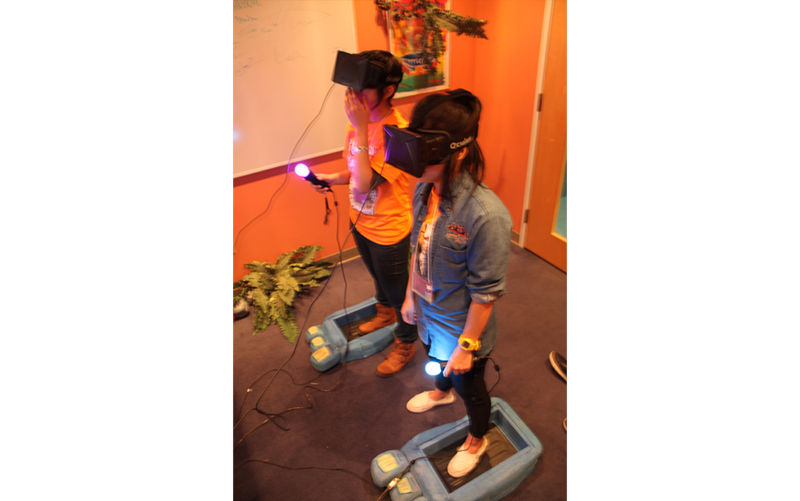 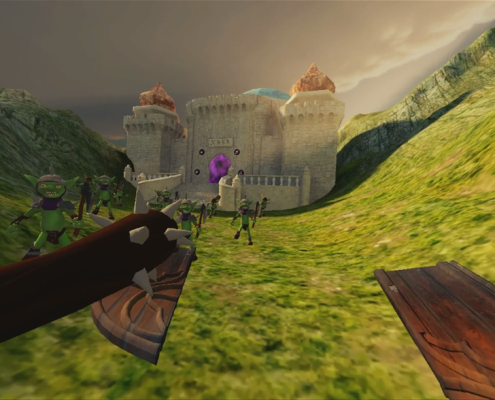 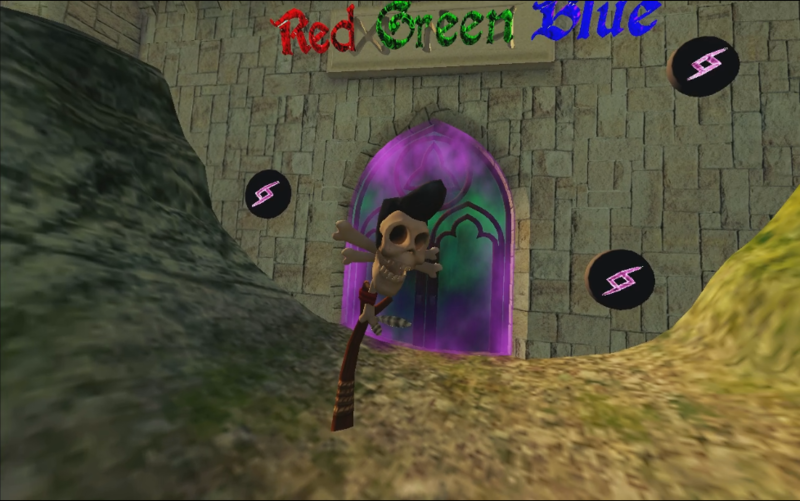 This game was created in Unity for the Oculus Rift and PlayStation Move platforms with Phidgets with pressure plates during Round 5 of Building Virtual Worlds (Festival Round) at the Entertainment Technology Center. 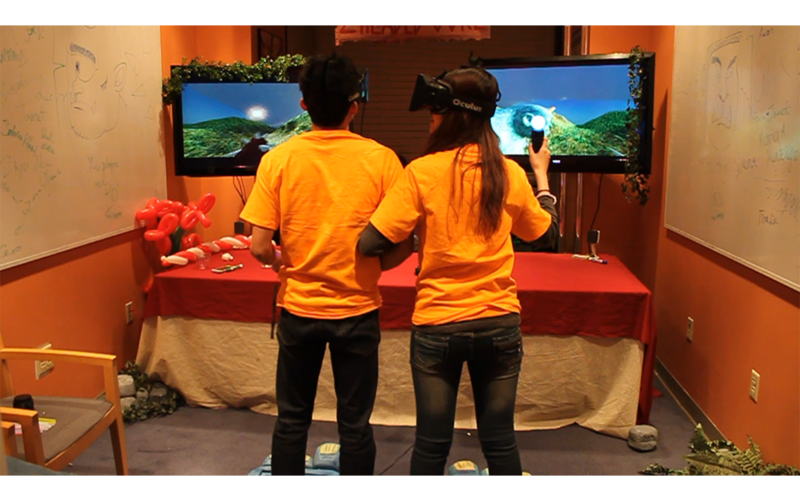 The entire experience was created in 3 weeks. 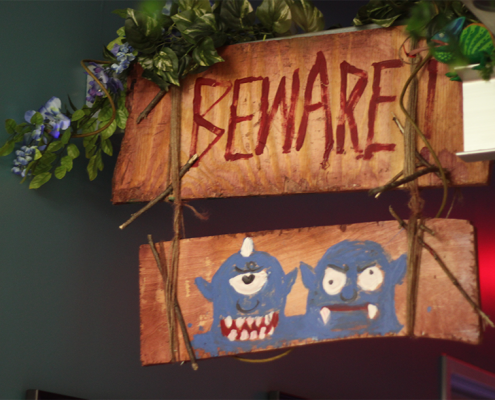 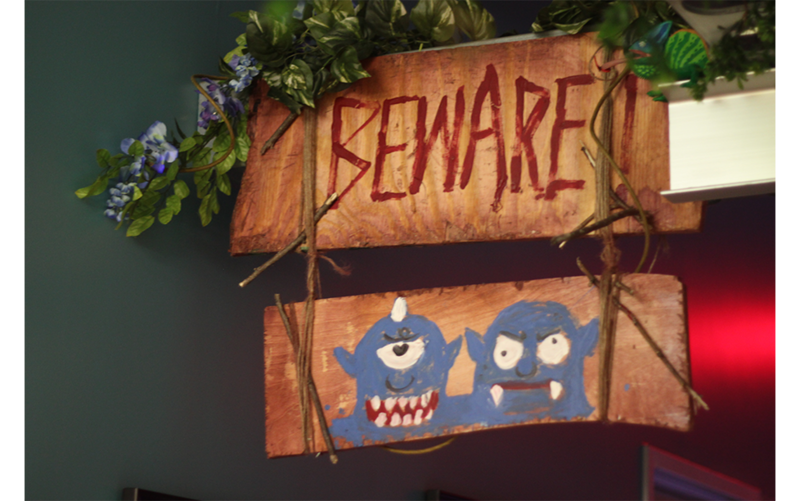 Two-Headed Ogre was on display in the BVW Festival 2013!